Outdoor Enthusiast's Dream Location to Practice Geriatric Medicine! State-of-the-art practice for the physician who values excellent patient care, strong specialist support and the enduring appeal of woods and water. 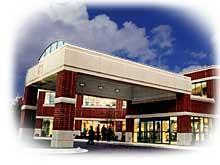 This multi-specialty clinic in Marinette, Wisconsin has a great referral base and excellent reputation in the community. The communities of Marinette, Menominee and Peshtigo are located on the shores of Green Bay (Lake Michigan), and an easy drive to major metropolitan areas and international airports. With thousands of acres of county forest land, acres of lakes, and miles of streams and rivers, there's no limit to the possibilities for family recreation in all four seasons. Exceptional selection of public and parochial schools -- Wisconsin schools are ranked as some of the best in the nation. Located on the scenic border of Wisconsin and Michigan’s Upper Peninsula—just 45 minutes from Green Bay—Marinette is a perfect blend of rich pastoral beauty, high educational standards, an exemplary workforce and modern progressive business climate. From its farmlands to lakefront, Marinette and its surrounding communities enjoy a diversity of resources, scenery and industry. The City of Marinette boasts a strong industrial and retail base, based, in part, on its direct access to the Great Lakes. The area has also become a popular tourist destination, renowned for its parks, water sports, and seemingly endless number of waterfalls. Both the private and public schools are strong, housing is affordable—important information if a waterfront home or large wooded lot is an attraction—and the community is safe and very family-oriented, with lots of year-round activities for all ages. Marinette’s sister city, Menominee, Michigan, is located just across the bridge and has an equally charming array of homes, shopping and waterfront activities, including large marina and summer concerts to enjoy. The population of the Marinette area, including Menominee is 24,000. For additional information please call us at 800-307-7497. Wisconsin is one of the most physician-friendly states in the country. An effective Patient Compensation Fund and a supportive legal environment all make Wisconsin a great place to practice medicine. And for self-starting physicians who want to determine the course of their own practice, our state's low level of managed care makes it an ideal place to grow a rewarding career. In addition to the excellent environment for a medical practice, Wisconsin offers a world of lifestyle choices, from urban settings to small communities and suburban areas. Friendly neighborhoods, a renowned university system, and an abundance of recreational and cultural offerings make Wisconsin an ideal place to live and work. Golf, racing, skiing, boating, ethnic festivals, and four seasons of professional sports are just a few of the activities that Wisconsin families enjoy. For the outdoor lover, Wisconsin's natural beauty ranges from lush green rolling hills, to sandy beaches and spectacular cliffs on the Lake Michigan shore. From live theater to symphonies and diverse ethnic and continental cuisine, Wisconsin offers a true cultural smorgasbord from which to choose. Aurora is an integrated health care delivery system providing care in more than 69 communities throughout eastern Wisconsin. Our relationships with Wisconsin universities provide unique career opportunities such as faculty appointments, clinic-academic positions and residency programs. Whether you seek to join an employed medical group or establish an independent practice and serve on the staff of a hospital, we may have what you're looking for. To find out more about Wisconsin practice opportunities with Aurora Health Care, call Aurora Physician Services & Recruitment at 800-307-7497 .